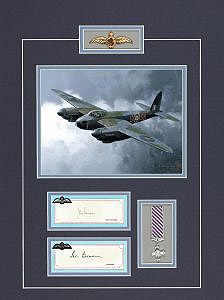 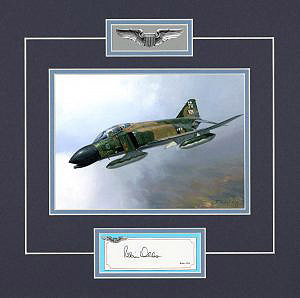 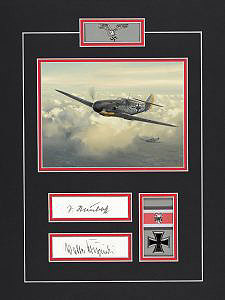 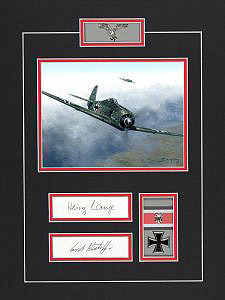 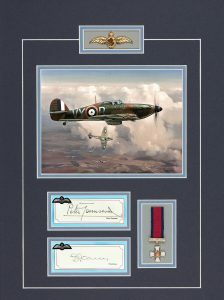 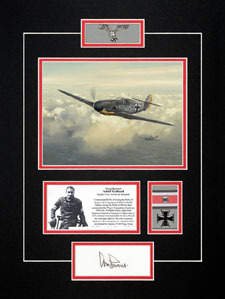 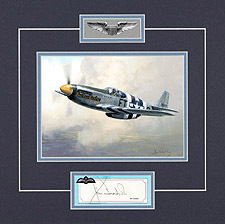 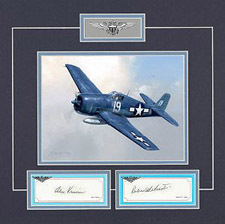 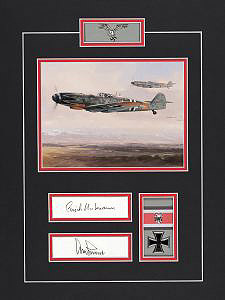 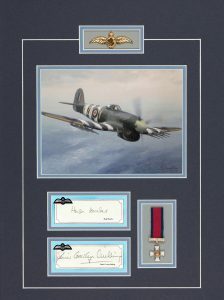 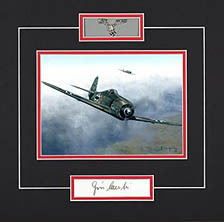 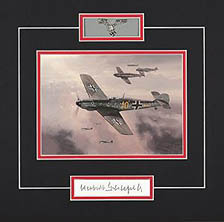 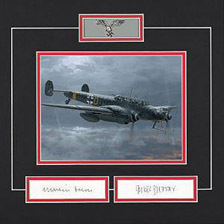 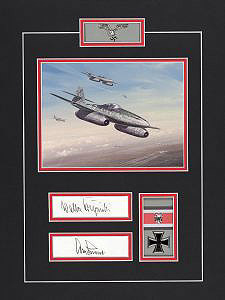 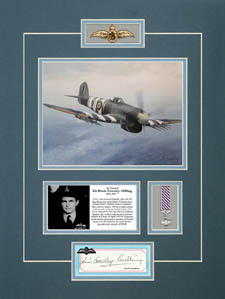 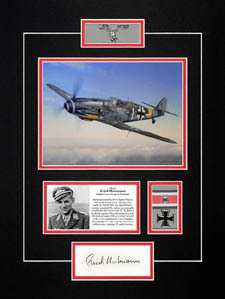 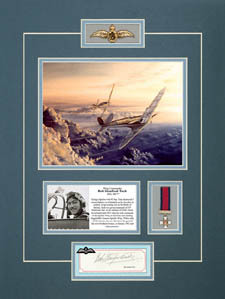 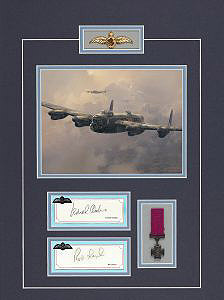 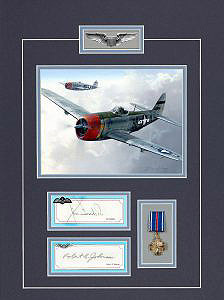 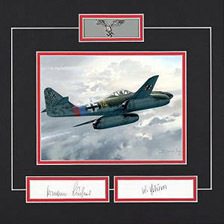 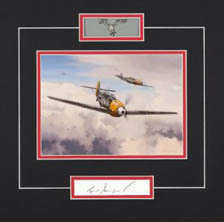 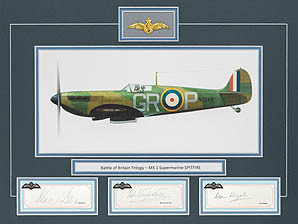 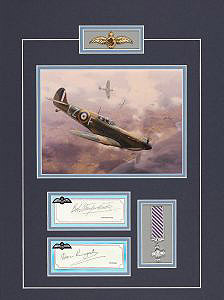 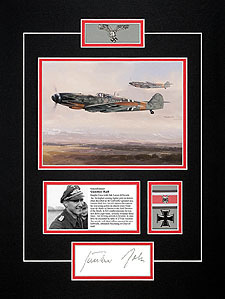 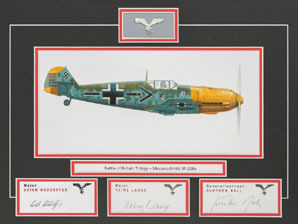 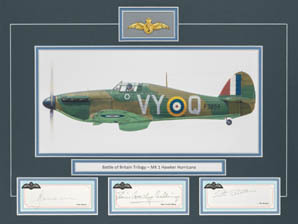 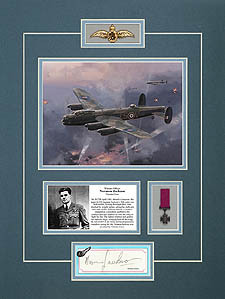 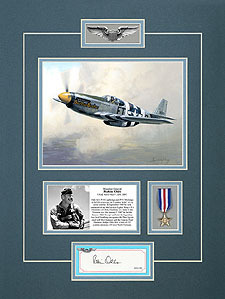 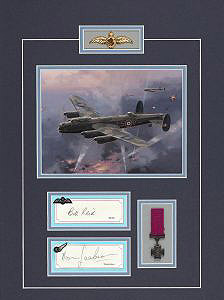 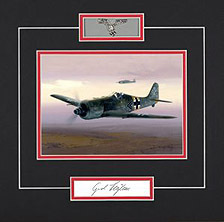 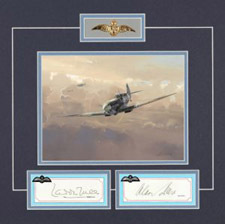 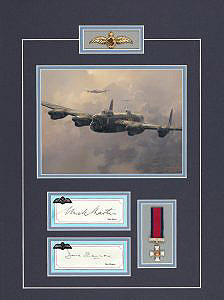 Each ensemble in this series comprises the signature, or signatures of famous airmen double matted with artwork and reproduction badges or medals. 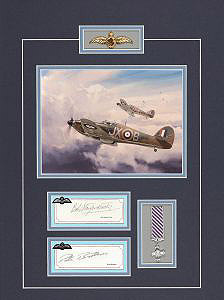 All are available fully framed or matted only. 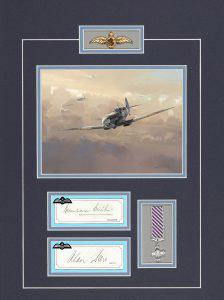 These pieces offer an excellent way to collect significant signatures at a moderate price and in a compact format.